From now on, the occupying of Guadalcanal Island is under the observation of the whole world. Do not expect to return, not even one man, if the occupation is not successful. This is the decisive battle between Japan and the United States in which the rise or fall of the Japanese Empire will be decided. If we do not succeed in the occupation of these islands, no one should expect to return alive to Japan. [We] must overcome the hardship caused by the lack of material and push on unendingly by displaying invincible teawmwork. Hit the proud enemy with an iron fist so he will not be able to rise again. Maruyama attempted to envelop Henderson Field by marching through the dense jungle to the south, but he received faulty intelligence, the morale of his men was poor, and he had difficulty coordinating his attack, which was repulsed on 23-24 October 1942 with heavy losses. The remainder of his division was evacuated from Guadalcanal on 4-5 February 1943 and sent to the Philippines to recuperate. 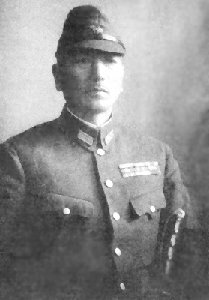 Maruyama was replaced as 2 Division commander in November 1943 and survived the war.